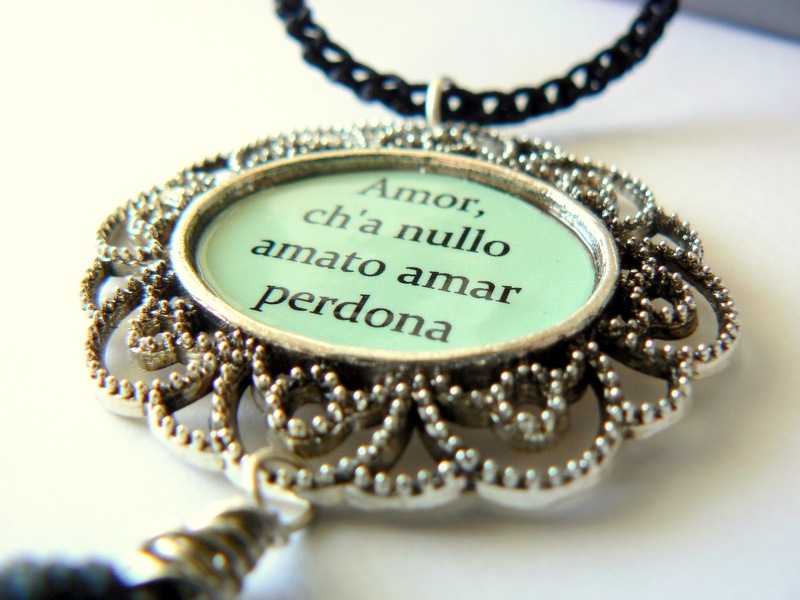 The Chronicles of Amoronia: Valentine's Day Giveaway Alert!!! This beautiful necklace with Dante's romantic quote features a long, lovely crocheted cord and a long tassel hanging at the bottom. For a chance to win, if you already like my page, leave a comment under the photo. People who are going to like my page from this moment on, will enter automatically. Good luck to all! Very pretty! Love the quote.